“Would you marry me?” You are more likely to hear a “yes” when proposing with a princess cut diamond than with copper jewelry, right? Whether you want to treat yourself and purchase it along some gold earrings or you need to find the most unique engagement rings to propose your loved one, you have landed in the right website. The best way to ensure yourself about wearing unique wedding jewellery is by buying handmade jewelry. Professionals from the best jewellery shops in Greater Melbourne (Inner) - VIC Region will manufacture costume jewellery designs for that special moment, both wedding and engagement. You can choose the cut, like cushion cut engagement rings or opal rings as well as the materials and the use of precious stones. Silver, gold, diamond…it all sounds like getting ready for a big date. However, jewels are an important accessory for every day fashion and thy can really make a difference in your outfit. Affordable bangles, necklaces, pendants or anklets are offered by the best jewellers to keep you up to date about the latest jewellery trends. Get to know the best jewellery shops in Greater Melbourne (Inner) - VIC Region and amaze your loved ones with fabulous gifts. As an advice, we recommend you choose anklets, gold hoop earrings and pendant necklaces. This season the trend is to wear more than one at a time, stack your rings and pile one your bracelets. At Infoisinfo we always work hard in order to offer you some useful information so that you can easily find the best products and services for you and your loved ones in Greater Melbourne (Inner) - VIC Region. We know how much you like clothes and accessories so this time, we’d like to help you to find that beautiful gold jewellery you’ve always dreamed of. 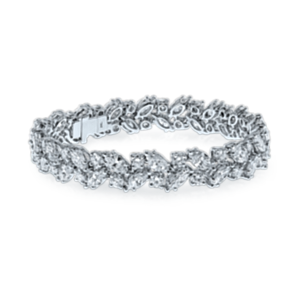 Therefore, we have prepared a list of the best jewelry shops in Greater Melbourne (Inner) - VIC Region for you to choose from among the products manufactured by the best jewelry designers. Get in touch thanks to the contact details such as phone numbers, websites, address and opening times. In addition, you can have a look at comments and valuations from other clients and see how happy they are with jewellery and watches. Level 5, 340 Collins Street, Melbourne. Melbourne. VIC, 3000. 83 Glenhuntly Rd, Elwood. Port Phillip. VIC, 3184. Level 10, 171 Collins Street. Melbourne. VIC, 3000. 202 Turner Street, Port Melbourne,, Melbourne. Melbourne. VIC, 3207.